About Canada Adventure Immigration Services Inc.
Canada is one of the best countries in the world to live in (according to the United Nations Human Development Index) and is known for its broad immigration policy which is reflected in its ethnic diversity. With this, Canada is attracting the world’s best minds and talent. There are many reasons why Canada is the best place to live. 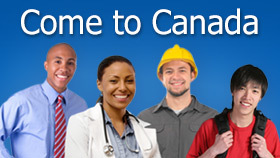 People with high level of education and extensive professional and business experience, young people seeking to study for their Master’s or Ph.D programs come to Canada under the various immigration categories – Federal Skilled Workers, Investors, Entrepreneur, Self-employed or under each of Canada provinces’ Provincial Nominee Program (PNP). As well, temporary foreign workers with technical, vocational and skills in hospitality service continue to aspire for, and flock to Canada. Most of Canada’s Temporary Foreign Workers as well as Live-in Caregivers are sourced from India. “Canada, the summit of the Americas, your sides lapped by the two great oceans, your brow thrust into the Arctic ice your humble name is that of a giant.” - Berthe de Trémaudan, Canadian poet. Canada is the most northerly country of the Americas and the second largest country in the world. It borders the Atlantic Ocean to the east, the Pacific Ocean on the west, the Arctic Ocean to the north and the United States of America (USA) on the South. It spans a total area that covers almost ten million square kilometers (9,984,670 sq km). To put it into clear perspective, Canada could contain 18 countries the size of France or 40 United Kingdoms (UK), and has six time zones. Canada also has the longest coastline of any country. If you have your heart set to live in Canada on the West coast, VANCOUVER, on the Pacific Ocean, is best known for its year-round mild, wet weather. Snow is rare, but possible in the winter. Summer highs usually are in the 70s F and winter highs are typically in the 40s F. Lows below freezing are infrequent. Known for its picturesque mountain-capped skylines and inner-city beaches, Vancouver is consistently ranked as one of the top cities to live in Canada and, for that matter, the world. Montreal and Toronto are more like northern cities in the United States with four distinct seasons. Montreal’s weather is often the colder of the two, mainly because of the wind chill. Snow usually begins in November and continues through March. Toronto’s weather is considered to be milder in comparison to most Canadian cities because of its location on Lake Ontario. Its snowfall begins in December and continues through March. Spring in both cities is short and rainy, the summers hot and humid and fall is mild. Canada is what is known as a “Democratic Federation” with both Federal and Provincial levels of Government. The responsibilities and powers are divided between the Federal branch and its Provincial executives. Citizenship and Immigration Canada – CIC – is a department of the government of Canada. Canada ranks among the 10 leading manufacturing nations. Most of Canada’s manufacturing industry is located in the provinces of Ontario and Québec. Other important manufacturing sectors in Canada include food and beverages, paper and allied products, primary metals, fabricated metals, petrochemicals and chemicals. Canada has a public health care system that makes critical care accessible to all Canadian citizens and permanent residents alike. Although the health care systems are run by Provincial ministries of health, the Federal Government sets the standards for health care across the country. With only 32 million people, the country is a modest nation compared to its densely populated southern neighbor. There are over 200 distinct cultures in Canada. In fact, the Nation is often defined as a “cultural mosaic” and has a greater mix of people from diverse backgrounds than almost anywhere else on Earth. It is home to the world’s immigrants and encourages its people to hold closely to their traditions and culture. Around two-fifths of the Country’s population comes from an origin other than British or French. Canada taxes individuals on the basis of their residence and not their citizenship. A Canadian Permanent Resident may apply for Canadian citizenship and a Canadian passport after three years. Canadian citizens who are non-residents of Canada do not pay Canadian tax on their worldwide income. Non-residents pay Canadian tax only on certain Canadian sourced income and capital gain. New Canadian Permanent Residents can significantly reduce or even eliminate Canadian taxes with proper planning in advance of their arrival. They are permitted to establish a properly structured offshore trust to shelter non-Canadian sourced income and capital gain for up to five years after their arrival in Canada. During this five-year tax holiday the individual can acquire Canadian citizenship and choose to become a non-resident for Canadian tax purposes. In this manner the income and capital gain generated by the trust never falls into the Canadian tax net. Taken all together, it is clear that Canada is the right choice even from a taxation point of view!! Known as “la belle province” (the beautiful province) to its locals, Quebec is Canada’s largest province and home to approximately 7,600,000 people. Quebec is a vibrant multicultural province, often earning it recognition as the “Europe of North America”. Quebec is also famous for its vast forests, rolling hills and countless waterways. In fact, Quebec has over 1,000,000 lakes and waterways, giving it more fresh water than any other province. Quebec is the only province whose official language is French. The capital city is Quebec City (670 000). Quebec is also home to Canada’s second largest city, and the second largest French speaking city in the world, Montreal (3.6 million people). Other major cities are all located in proximity to the St. Lawrence river (which links Quebec and Montreal to the Atlantic Ocean) and include Trois-Rivieres, (48,419) Sherbrooke, (152,100), Chicoutimi-Jonquiere (162 500) and Hull (62,339). Since the end of World War II, more than 650,000 immigrants from over 80 countries have moved to Québec, particularly to the multicultural city of Montreal. Québec’s economy is highly industrialized and diversified. The province itself is home to the 38th largest economy in the world. Quebec’s advanced manufacturing sector produces a wide variety of products for export, such as air traffic control equipment, software, subway trains, helicopters, compact disks, air purifiers and toys. Montreal, the province’s commercial capital, has developed competitive industries in space and aeronautics, pharmaceuticals, telecommunications, energy, transportation and finance. Montreal has also recently become known for its software startups, most notably with regards to the entertainment industry and follows Vancouver as a major movie-production center. In addition, the Province of Quebec is very rich in natural resources. Quebec produces more than a third of Canada’s pulp and paper products and a large percentage of its soft lumber. Thanks to Quebec’s abundant hydroelectric generating capacity, the state-owned energy sector produces and sells large quantities of hydro-electricity to neighbouring provinces and the United States, a field the province has acquired much expertise in. Agriculture revenue is also considerable in the province. International exports now account for 20 percent of the province’s gross domestic product. Quebec is steadily rebounding from a period of economic recession that saw unemployment on the rise. During this period of uncertainty some major Canadian companies shifted headquarters away from Montreal. Today after a decade of stability the province’s economy is steadily adding jobs and attracting new companies with its highly skilled workforce. The unemployment rate currently sits at approximately 7.2%, which represents a 33 year low for the province. The average earnings for a family in Quebec is approximately $48000 per year, leaving it very near the Canadian average. The province boasts an excellent standard of living however thanks to its affordable cost of living. The cost of living in Quebec is lower than the Canadian average, particularly when it comes to housing. Montreal is among the most affordable major cities in North America. While Quebec has among the highest provincial personal income tax rates at over 24%, these taxes translate into publicly provided services that contribute to high standards of living in the province. Publicly provided healthcare and heavily subsidized transportation, post-secondary education and cultural services ensure that all Quebeckers have access to these important contributors to a high standard of living. However, the federal tax rate is abated in Quebec, and the minimum wage is at $9.50/ hr. Quebec has one of the most affordable housing markets in Canada. The average cost of a house in Montreal is below $200,000, despite the city’s large population. This makes Montreal one of the most affordable cities of its size in North America. Even more affordable, houses in the capital Quebec City cost on average 35% less than they do in Montreal. Despite a recent real estate boom, rental costs have remained considerably lower than in Toronto and Vancouver. However, the average percentage of household income taken up by ownership costs is slightly above the Canadian average, ranging from 27-42% depending on the type of dwelling involved. Quebec is home to one of the most affordable and comprehensive educational systems in North America. According to Canadian law, all Canadian citizens under the age of 20 are entitled to an education through the end of secondary school at no direct cost to the user. Quebec has publicly funded elementary and secondary schools in both French and English as the language of instruction. Under Quebec’s Charter of the French Language however, students must attend French-language schools unless they, their parents, or their siblings have previously attended English language schools. This regulation is part of an effort to preserve the French language in Quebec within a mostly English-speaking country. All French-language schools offer English as a second language beginning in Grade 1. This regulation does not apply to private schools in Quebec. The province has the highest rate of private school attendance of any Canadian province. Quebec has a public school system that is unique within Canada. While most Canadian provinces offer publicly funded schools through to the end of Grade 12, Quebec’s secondary school students receive their diplomas after Grade 11. After completing secondary school, Quebec students may attend free pre-university or vocational programs through the province’s CEGEP (Collège d’Enseignement Général et Professionel) system. These schools offer, with free tuition, either 2 year pre-university programs or 3 year vocational programs for diplomas. Quebec chose this structure for their educational system in order to ensure that at least some amount of post-secondary education is universally accessible. The system of universities in Quebec includes a network of institutions that offer world-class education in both official languages. Montreal itself is home to four sizable universities, giving it the highest percentage of university students in its population of any major North American city except Boston. Most notably, McGill University and L’Université de Montreal are well renowned around the world for their scholarship and research, producing numerous Nobel prize winners. In addition, Concordia University and Bishop’s University, and L’école des Hautes Etudes Commerciales and L’Université de Laval offer competitive and well-respected educational programs. The average yearly tuition paid by Quebec students is the lowest in Canada, and the province offers a number of generous student aid-programs. Under Canadian Law, all provinces and territories must provide universal, publicly funded health care to all citizens and legal residents of Canada. In other words, most basic health services in Canada are offered at no direct cost to the patient. Certain procedures that are not deemed necessary (such as elective cosmetic surgery and a number of dental care procedures, for example) are generally not covered, but the list of services paid for publicly varies from province to province. Health care in Quebec is universally available to all residents at no cost to the individual. The Quebec Health Care plan covers the full cost of all necessary medical services for all citizens and most permanent residents in Quebec. This coverage includes doctor examinations, medical testing, emergency care, hospital care and emergency dental care. The province of Quebec received its name from the aboriginal inhabitants of the province. The word comes from the Mi’kmaq language, however Algonquian, Iroquoian and Inuit groups also resided in large numbers in the territory of present-day Quebec. The name Quebec means “strait, narrows”, referring to the portion of the St. Lawrence River that narrows near Quebec City. Quebec would in turn become one of the first areas of North America to be explored by Europeans. Jacques Cartier would begin the French presence in the area in 1534. The first successful permanent French settlement in Quebec would be established some 70 years later by a group led by Samuel de Champlain. The colonists at Quebec city established an economy trading goods with the Iroquois and Algonquian nations in exchange for furs. From the early 1600′s on Quebec would be a major destination for French settlement as well as a launching point for exploration of other areas of Canada. The mid 1700′s marked an important period of transition for Quebec. After a series of battles, British forces defeated the French General Louis-Joseph de Montcalm at the Plains of Abraham outside of Quebec City in 1759. The result of this battle was that France ceded all of its colonial territories in Canada to Great Britain, and Quebec was no longer under French control. This set the stage for Quebec to become one of the 4 founding provinces of Canada in 1867. In the mid 20th century Quebec underwent a period of modernization that has become known as the “quiet revolution”. During this time the province shifted from a more traditional agricultural society towards a modern, urban one. This period saw the standard of living in the province improve, a long with an increased awareness of Quebec’s distinct cultural and linguistic heritage. Quebec is home to a vibrant culture that plays a key role in attracting visitors from throughout Canada and across the world. On the one hand, strong efforts to keep the province’s Francophone heritage alive ensure that one can find arts, cuisine and cultural events that cannot be found anywhere else in the world. In addition, immigration to the province from all over the world has helped to produce a multicultural society that features elements from all of the many cultural groups that have made the province their home. These two factors combine to create a thriving culture that offers something for everyone. Quebec City, the province’s political and administrative capital, has some of the most well-preserved historic sites in North America. The old city in its entirety is recognized as a world heritage site by UNESCO. Alongside the historic cobblestone roads is a major modern city that is home to more than its fair share of leaders in creative and academic fields. The large majority of Quebec City’s residents speak French. As the province’s largest city, Montreal is known worldwide for its unique multicultural vibe. Since its inception Montreal has been home to sizable communities of both English and French speakers, making it a truly bilingual city. In addition, over time Montreal has welcomed hundreds of thousands of immigrants as one of the top destinations for newcomers to Canada. The contribution of these individuals to Montreal’s culture can be seen easily while walking down the streets of the city, where one can observe a mosaic of cultures from all over the world. Montreal is known as a city of festivals, hosting numerous events each year which attract visitors from all over the world. While Montreal winters can be cold, Montrealers show their appreciation of the sun by filling the summer with as much outdoor activity as possible, with street festivals, concerts and various other activities. Among these events, the Just for Laughs comedy festival, Montreal International Jazz Festival and the Canadian Grand Prix are some of those known worldwide, attracting the world’s top performers and athletes. At over 7.5 million residents, Quebec’s population accounts for nearly one quarter of Canada’s total. Of this total approximately 3.6 million live in the Montreal area, while the capital of Quebec City is home to over 670 000. While a century ago Quebec the majority of Quebeckers lived in rural areas, today 80% of the province’s residents live in urban areas. With one of the lowest birth rates in Canada, nearly all of Quebec’s future growth can be expected to come from immigration. Today immigrants come to lives in Quebec from all over the world, with the majority settling in either Montreal or Quebec City. Many Canadian immigrants from francophone countries choose to settle in Quebec, notably from France and a sizable Haitian population. Quebec is also home to large communities of individuals of Italian, Greek, Arab, Irish, Chinese and South Asian origin, among others. According to the Canada-Quebec Immigration Agreement, the Province of Quebec selects the immigrants that settle within its borders. Just as the Federal Skilled Worker Program does, the Quebec immigration program uses a points-based system to assess applications of individuals who wish to settle in the province. Though the categories are slightly different than the federal ones, in much the same way the system is meant to evaluate which immigrants are most likely to become economically established after arriving in Canada. After receiving a positive assessment from the Government of Quebec, immigrants are issued a Quebec Selection Certificate which approves them for immigration pending medical and security clearances. Today Quebec welcomes approximately 45000 immigrants each year. With the province’s economy growing and the birth rate declining, immigration to Quebec can only be expected to grow in the future. Immigrants come to Quebec each year from over 100 countries, helping to contribute to the multicultural character of the province, and driving the Quebec economy. Canada’s government works on a federal system, with control over certain affairs belonging to the national government in Ottawa, and others under the control of the provincial governments. The province of Quebec has its own democratically-elected legislature known as the National Assembly of Quebec, which is located in the capital of Quebec City. There are 125 members elected to the Quebec National Assembly, each representing the interests of a specific geographic district. The current government is led by Premier Jean Charest of the Quebec Liberal Party. As one of Canada’s founding provinces and the only province with a Francophone majority, Quebec’s provincial government has a significant degree of control over its affairs. One example of this of course is the Quebec government’s control over the selection of immigrants that live in the province. In recent decades the government of Quebec has exercised its power to help strengthen the unique culture of the province, including legislation encouraging business to be conducted in French. While in 1980 and 1995 the province held referendums on the possibility of separating from Canada, in each of these votes the people of Quebec voted to remain a part of Canada. In recent years sovereignty has not been a major political issue, and is unlikely to resurface in the near future. As the second largest city in Canada, Montreal attracts a large number of immigrants each year to live and work in the area. The Greater Montreal Area is home to approximately 3.6 million people, which includes nearly half of the population of the province of Quebec. Immigrants account for nearly 30% of the total population of Montreal. The city boasts representation from 120 different cultural communities with origins on each of the world’s continents. Montreal is the economic capital of Quebec, home to major international corporations and some of Canada’s most important industries. While manufacturing remains an important sector for the city’s economy, it is being outpaced by the rapid growth of advanced technology sectors. Aerospace, Life Sciences and Information Technology are all major employers in the Montreal area. Montreal’s advanced industries are quickly becoming world leaders in their fields. Montreal is a city that is both lively and vibrant as well as clean and safe. Montrealers take advantage of the many artistic and cultural events that take place throughout the city all year, including a year-round lineup of festivals that attract the world’s top talents. With extensive parks located throughout the city, Montrealers also enjoy natural beauty and outdoor recreation just a short walk from major business and cultural areas. This combination of qualities makes Montreal one of Canada’s top destinations for immigrants. As the political and administrative capital of Quebec, Quebec City welcomes thousands of newcomers each year from all over the world. The Capital Region is home to approximately 670 000 people. Many of the people who work in Quebec City choose to live in one of the many smaller communities that surround the capital, a situation that allows them to experience the best of both worlds. The majority of the residents of the Quebec City region are employed in the information and service sector. As the provincial capital, government administration is a major employer, as are the region’s Universities and colleges. Tourism in Quebec City is a major industry as well, as the area has been recognized by major international organizations for both its history and natural beauty. CANADA IS A FREE, DEMOCRATIC COUNTRY! BE PROUD TO BE A CANADIAN! !